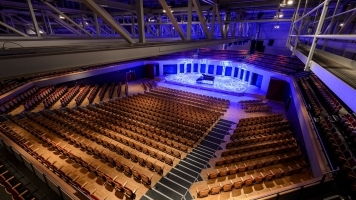 Performance Extras: Please note - the front three rows are VIP tickets priced at £42 each. Details on VIP tickets can be found below. Known for sensational, flat-out singing with a timeless appeal, The Overtones have already had a roaring start to their 2017 with their new single, a cover of Disney’s classic, ‘Beauty and The Beast’. 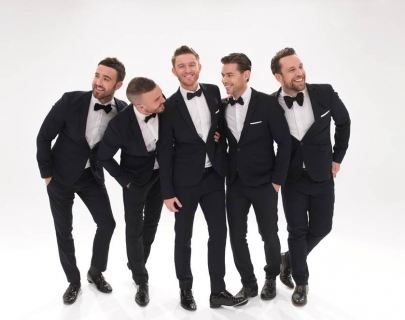 Adding this to the plethora of successes since first signing to Warner Music in 2010, The Overtones prove time and time again that their reputation precedes having the unique ability to deliver consistently uplifting music infused with exquisitely crafted vocal harmonies. They have enjoyed a succession of major achievements, including performing in front of 250,000 people at the Queen’s Diamond Jubilee Concert, appearing at the Festival of Remembrance, playing Cornbury Festival, Goodwood, Epsom Race Course, Castle Howard, The Olympic Ball and Wimbledon. They have also performed for brands such as BMW, Mercedes, Mecure, Sunseeker Yachts, Quintessential, British Airways, Ted Baker, Duchamp, Austin Reed and for celebrity birthday and events such as Wayne Rooney, Ronan Keating and Samuel L. Jackson. Having celebrated their 5th consecutive Top 10 UK album in 2015 with ‘A Good Ol’ Fashioned Christmas’, The Overtones really are ahead of the curve, as Britain’s Number 1 vocal harmony group. Having now sold well over a million records, the band show no sign of slowing as their success takes them higher and higher. Please note that the VIP ticket includes a meet and greet with the band with opportunity for photos and signings.